Artherapy No2 MiniO – Inspiration by Flor (aka twinsmomflor) Hi there Flor here. 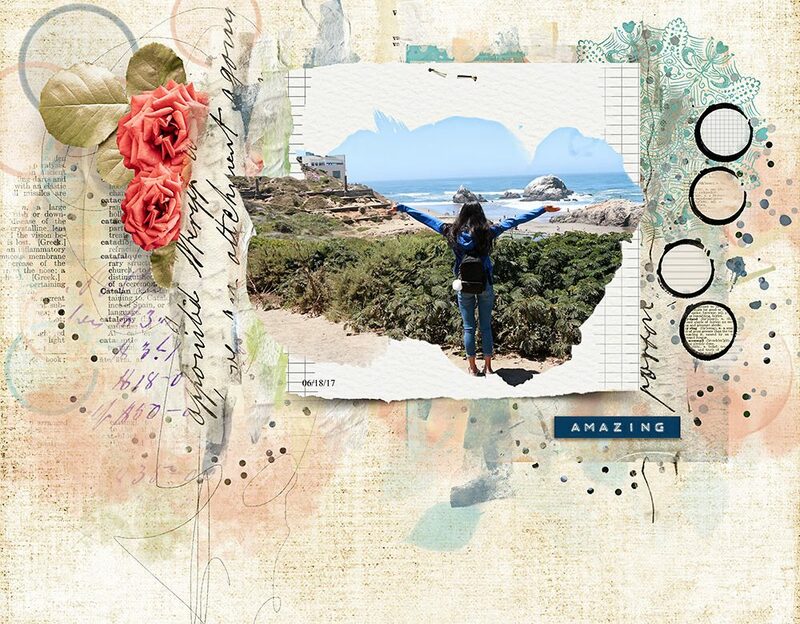 Did you see Nicole’s Arterapy2 a mix of traditional scrapbook elements and art. Love the soft earthy tones and beautiful watercolor leaves, bubles, clouds and beautiful pattern brushes. The beautiful vintage tones are just amazing. I clipped the photo to the blending mask and I framed with a paper, I used the magic lights and confetti for the air feeling. I used the lace for the borders for a classic scrapbook paper. I add more paint and mask and use the paint tools for the photo blending.